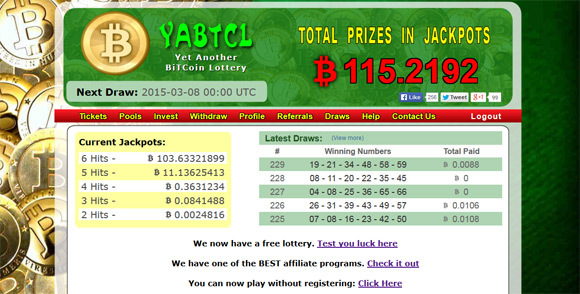 YABTCL is the short from Yet Another BiTCoin Lottery, a Bitcoin lottery system that is provably fair and you can either play for free or to use some Bitcoins to increase the amount you can win significantly. 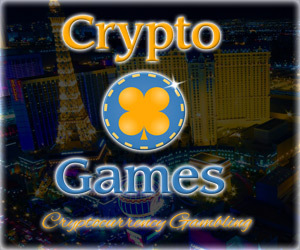 The lottery draws will occur three times in a week: Tuesdays, Thursdays and Saturdays at 24:00 UTC. In each draw 6 numbers in a total of 67 will be drawn with tickets price starting at 0.001 BTC and you can buy tickets having between 6 to 16 numbers. With each ticket you can win hitting 2 to 6 numbers. You also have the ability to have pool tickets where multiple people buy a ticket and the profit is shared or many tickets are shared by more than one person. You can play the Bitcoin lottery anonymously without having to register at the service, or registering an account to get all of the features available to you. If you win in the lottery you should know that the minimum withdraw value is 0.00005430 BTC. 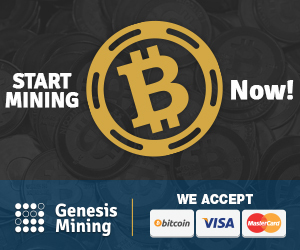 The Yet Another BiTCoin Lottery service allows you to test your luck by playing for free and you can play up to 3 free tickets per day and if you win hitting 2 to 6 number your winnings will be sent to your address when your accumulated winnings are greater than 0.0001 BTC. The free Bitcoin lottery does not require you to register at the service, all you need to enter in the lottery is your Bitcoin wallet address, then you choose the numbers and the lottery is drawn and you get the results immediately. 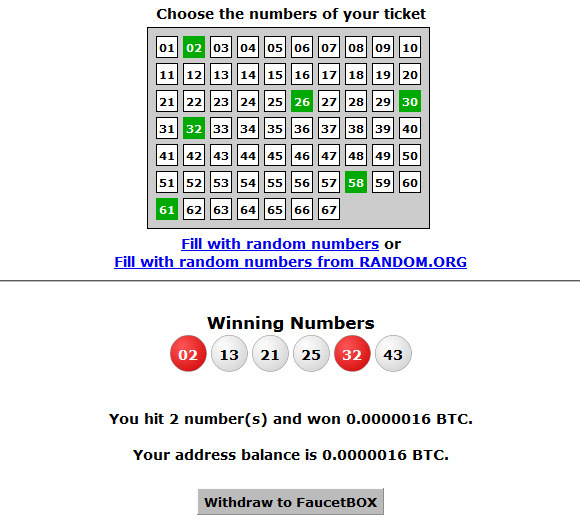 If you manage to hit at least 2 numbers you are winning and when the amount can be sent to your Bitcoin wallet using the FaucetBox microwallet service. At the moment the free lottery jackpot has already collected more than 1 Bitcoin and you have the chance of winning it with no strings attached.